Right here on this post, I will be uncovering some common bank frauds and how they are done. For those looking for how to do bank fraud, I will expose the working principle to how scammers steal money from your bank account. For those who are interested in protecting their bank accounts, this post will also show you how to stop bank fraud from happening to you. Whichever reason you are reading this post, just make sure you understand. If you don’t understand the process, do well to leave a comment and I will explain further for you. How to do bank fraud is very simple but there are different ways. While I will explain the three popular ways to do bank fraud, you can then choose which one is more suitable for you. Then you can go ahead and execute. If you don’t have the knowledge to do some of these types of internet banking frauds, then you have to learn. Now, this is one of the simplest ways to do bank fraud. It is simple because you already have all the client’s details. You might be wondering how that is possible, that is exactly what phishing does. Phishing is a form of internet banking fraud where the scammer tries to steal valuable information such as credit card details, card number, user ID, and passwords of his/her victim. Once unsuspecting victims log into the fake website that impersonates another organization – most times I prefer an e-commerce site or a banking site, and input their card details. Their details are stored at the backend of the “fake website” where you can easily have access to them. With the details of the unsuspecting victim in your possession, you can now go ahead to do bank fraud with their details. Start buying things that you like with their credit card. Unfortunately, since you can’t transfer the money in the credit card to your own account, all you can do is continue making purchases till you run out of funds. 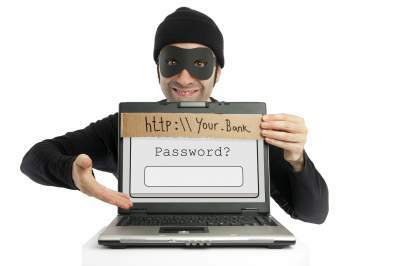 Phishing is simply one of the best ways to do bank fraud. This is a very simple way to get credit card details without having to go creating a fake website. Card skimming has shown that how to do bank fraud can be as easy as anything. It is one of the ways to do bank fraud which involves copying and capture of magnetic stripe and pin data on credit and debit cards. This type of bank fraud can occur at any compromised EFTPOS machine or any bank ATM. Once the card details are captured, they are encoded onto a counterfeit card and used to make fraudulent account withdrawals and transactions. This is quite a broad language as regards bank fraud, but it is one of the most efficient ways for unsuspecting victims. The steps for this type of fraud are very simple but require your ability to convince people to tell you their details. Ask them to update their information – most likely their BVN. 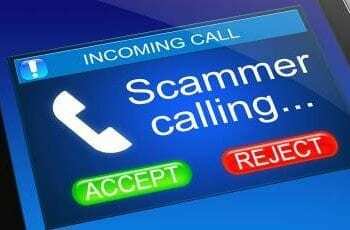 Use several social engineering tactics to collect their account details when they call. Just make sure that you dispose of any SIM card that used during the course of discussion with your unsuspecting victims. This would avoid you getting tracked down by the law enforcement agent. This is an advanced way to do bank fraud – especially for those who are technologically sound. The virus trap is basically a way of loading virus and Trojan into a victim’s computer without their knowledge. The basic aim of this is to get their system compromised and collect as much information as you can. Most young people perform several transactions with their computers, and it would be a good way to get their bank information from them. There are some smart ways to get your viruses and Trojans into their system. Design a virus filled website and ask them to visit and download movies. Whichever option you go for, the aim is just to make sure that you transfer the virus straight into their systems. Trojans appear as genuine applications and then embed themselves into a computer to monitor and collect information. The EFTPOS skimming is one of the smartest ways to do bank fraud without getting caught. Unless the customer is very observant, then your chances of being successful are 95%. A foreign device is implanted into the EFTPOS machine. This device is capable of capturing and copying card and pin details processed through the machine. The good thing about the POS skimming is that it can only be detected when a customer requires physical inspection. But the good news is that most customers don’t even bother. You might want to purchase this skimmer and insert it into your POS. Just in case you don’t have a POS, there are several fraudulent ways to get one. Skim their cards and return it to them playfully and friendly. One of the reasons why this type of bank fraud is dope is because you can’t get caught. But just make sure the customer doesn’t catch you skimming his card. 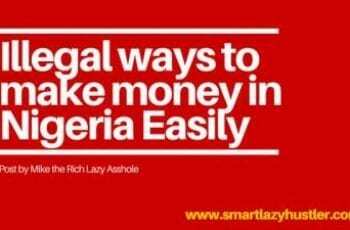 So if you are still looking for how to do bank fraud, I have given you the best ways without getting caught. If you still need more information, please don’t hesitate to drop a comment and I will reply to you. Stay safe and don’t get caught! Don’t forget to subscribe for more inside tips and posts like this. You mean how to do wire-wire? The skimmer will capture the details of the client’s card. “Card number”, Expiry date, CCV, and code. As simple as that. Bro I really need more info about the virus trap, here’s my mail – michelhenry919@gmail.com . How do I get the skimmer bro? How can I load an account/credit card and where am I loading it from? Where do I get the money am loading into the account/credit card? You load a card to increase the credit score of the card (Make sure it is a credit card oooo) and also, make sure that you have full control over the card. If not, nothing for you again – your money will disappear. thanks for the knowledge bro. 2.where can one by the pos skimmer device and what are the more detailed information about it. I will find out if they have the skimmer in Nigeria. I no dey 9ja for now. My clients always get me block whenever I bill them, why? And how do I create a website that look like that of a bank? Pls I need you to guide me in this, thank you. Contact a web developer. I don’t know how to develop one.